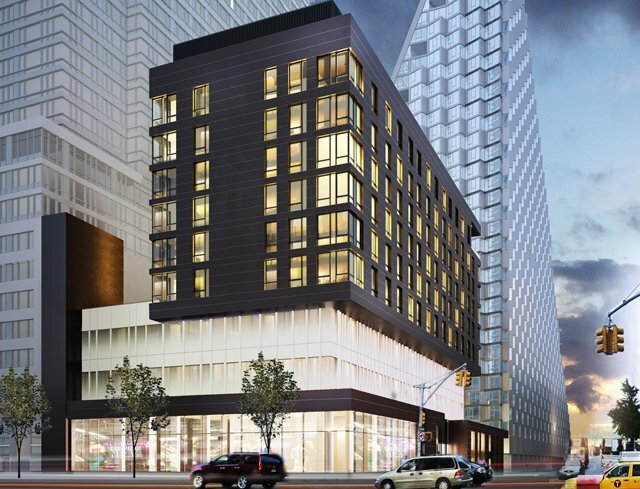 In December, YIMBY brought you a construction update on the 10-story, 65-unit mixed-use building, dubbed FRANK 57WEST, under construction at 600 West 58th Street, in Hell’s Kitchen at the corner of Eleventh Avenue. At the time, the structure was three stories in height, but now the building has officially topped out. It’s the first ground-up project to bring medical space to the Far West Side. 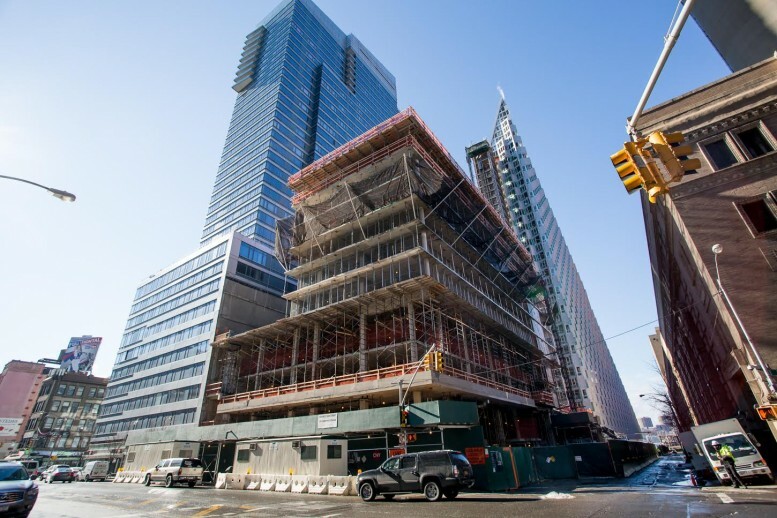 The first four floors, which the Wexler Healthcare Properties Team at The Corcoran Group is leasing, will contain 87,717 square feet of medical space. The ground floor will also feature 6,407 square feet of commercial-retail space, and the top six floors will contain the rental apartments. The Durst Organization is developing the project and Studio V Architecture is designing it. Occupancy is expected in the second half of 2016.